I am horrible about eating breakfast. Most days I just drink a cup of coffee and then nothing else until the middle of the afternoon. I haven't always been this way, before having kids I was great about sitting down and eating a healthy breakfast every morning. Since kids my morning eating habits haven't been as great. It seems that my two boys are following in my footsteps. It is horrible trying to get them to eat anything for breakfast. However, the one food that they will normally consistently eat is waffles. This is my quick and easy recipe for Buttermilk Waffles. Beat well and cook on a hot waffle iron. It's that easy, a quick way to get breakfast on the table with very little effort. My two boys love this recipe, I appreciate how little time it takes me to make breakfast. 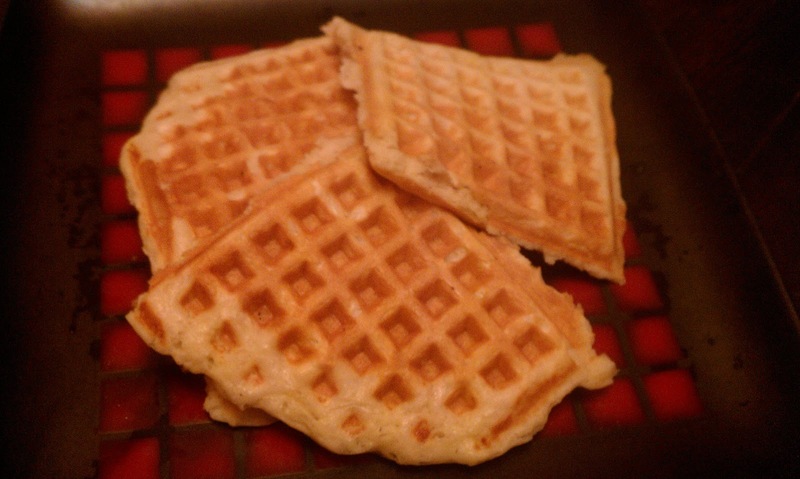 A great, simple waffle recipe! Recipe adapted from Richwood, WV Spanish Club Recipe Book. Returning the follow to this great blog! I am the same way! I love buttermilk biscuits, thanks for the recipe and idea. Mmmm, waffles :) Nice recipe! @Sheri They are yummy, hope you like them! New follower from the hop! I think I'll have to share this recipe with the cook in the house, my husband! I remember my mother used to make these for breakfast. I love them soo much! @Andrea My mom used to make buttermilk waffles growing up also, they were yummy! New follower from the blog hop. I am going to try this recipe! Thank you! I still don't have breakfast! A cup of coffee is about all I can manage until about 11 am! I am already a follower (but can't find your GFC) on facebook and twitter. Came here from the Sundae Hop!